Why am I having a Radiofrequency Neurotomy? Radiofrequency neurotomies are performed for the long-­?term relief of pain arising from particular joints, usually the facet joints or sacroiliac joints of the spine. Your Pain Specialist has determined that your pain is likely to be coming from a particular joint. This opinion is based on the history you provided, the examination performed, and the results of investigations including diagnostic injections. During the procedure a needle is placed on the nerve that supplies the joint (called the medial branch nerve for the facet joints). The tip of the needle is then heated to 85°C, cauterising the nerve. This renders the nerve incapable of transmitting pain signals from that joint. All procedures are performed with an anaesthetist present to provide sedation, so the procedure itself is comfortable. Discomfort following the procedure may occur. The outer sheath of the nerve is left intact so the nerves will regenerate. The pain relief provided will last on average for 6-­?9 months, but this varies from 4 months up to 18 months. Make sure you fully understand the procedure, including the reason it is being performed and the risks associated. There are additional requirements to allow sedation to be safely given. These include having nothing to eat or drink for six hours prior to your procedure and having a responsible adult to look after you for 24 hours following your procedure. In addition you should not drive or make important decisions for the first 24 hours following your procedure. If you take medications for Diabetes or blood-­?thinning medications ensure you discuss this with your Pain Specialist to seek further instructions. The needle used is small but may cause a bruise. This can produce discomfort for a few days. There is a risk of infection either at the skin or deeper near the joint, which may cause fever or worsening pain. The local anaesthetic may temporarily block a nerve near the joint, causing weakness or numbness. Rarely, burning pain may occur over the skin near the procedure site. This can be significant and lasts on average 1-­?2 weeks, although may persist for up to 6 weeks. 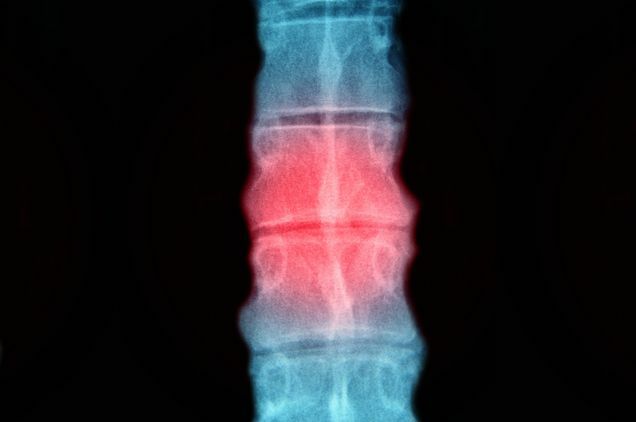 Vary rarely, nerves supplying sensation and power to your legs (for lumbar spine procedures) or arms (for cervical spine procedures) may be damaged, causing pain, numbness or weakness. This may be permanent. Radiofrequency neurotomies can provide excellent and long-­?lasting relief of painful conditions such as facet joint pain. However, there benefit is greatest when combined with a comprehensive pain management plan. Please discuss this further with your Pain Specialist.